THIS PROJECT, CONSISTING OF A MUSEUM, CULTURAL MARKETPLACE AND AUDITORIUM CELEBRATES DURBAN’S CULTURAL DIVERSITY AND IS SITUATED IN A COMMUNITY THAT HAS BEEN SUBJECTED TO EXTREME HARDSHIP, BUT HAS SURVIVED PERSISTENTLY THROUGH THE STRENGTH OF HUMAN SPIRIT. CATO MANOR HAS A LITTLE KNOWN, YET SIGNIFICANT PLACE IN SOUTH AFRICA’S HISTORY. IT IS A PLACE WHERE ENGLISH COLONIALISTS, INDENTURED INDIAN LABOURERS AND AFRICANS CONVERGED AND CONSEQUENTLY, THE STRUGGLE FOR LAND HAS ENSUED. NOT ONLY WAS IT THE SITE OF THE BIGGEST CLASH BETWEEN INDIANS AND AFRICANS IN THE COUNTRY’S HISTORY, BUT THE CONCEPT OF GROUP AREAS AROSE FROM DURBAN AS WELL. FORCED REMOVALS TOOK PLACE IN THE FIFTIES, RIPPING FAMILIES AND COMMUNITIES APART. BUT CATO MANOR IS MOST FAMOUS FOR THE ACTIVE ROLE THAT WOMEN PLAYED IN THE FIGHT AGAINST THE INJUSTICES AND ATROCITIES OF APARTHEID, THE MOST WELL KNOWN SERIES OF EVENTS BEING THE BEER RIOTS OF 1959 AND THE POLICE MURDERS OF 1960. WITH EXTENSIVE COMMUNITY INVOLVEMENT, ORAL HISTORIES HAVE BEEN RECORDED AND DOCUMENTED AND WILL ULTIMATELY BE TOLD IN THIS MUSEUM. THIS PROJECT AIMS TO CAPTURE THE PARTICULAR UNIQUE SPIRIT OF CATO MANOR, WITH IT’S CROSS-CULTURAL INTERACTIONS AND INFLUENCES, NOT ONLY WITH A MUSEUM NARRATIVE, BUT ALSO A VIABLE, SUSTAINABLE ECONOMIC ENVIRONMENT THAT SHOWCASES LOCAL CRAFT AND CUISINE, NOT ONLY AT THE CENTRE, BUT ALSO IN THE FORM OF LOCAL TOURISM INTO THE LOCAL TOWNSHIP AREA. 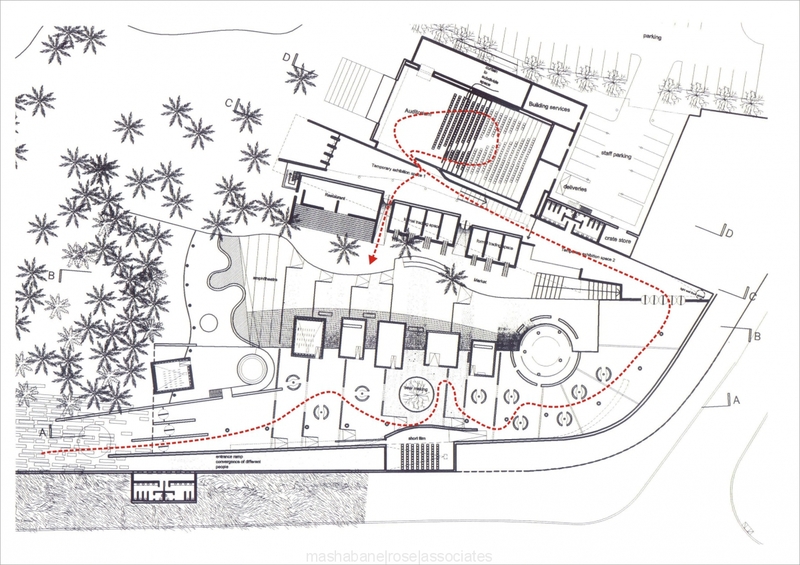 INTENDED TO BE A DESTINATION SITE FOR BOTH LOCAL AND INTERNATIONAL VISITORS, IT AIMS TO SHOWCASE NOT ONLY THE HISTORY OF CATO MANOR, BUT ALSO THE CONTEMPORARY SITUATION AND ACT AS A MODEL FOR SUSTAINABLE REDEVELOPMENT IN SOUTH AFRICA.